The U.S. Department of State's Directorate of Defense Trade Controls, the U.S. Department of Commerce's Bureau of Industry and Security, and the U.S. Department of the Treasury's Office of Foreign Assets Control administer export control regulations that affect some aspects of our business. We request that you (the "Customer") read and familiarize yourself with the following regarding certain applicable export regulations. The sale, transfer, transportation, or shipment outside of the U.S. of any product prohibited or restricted for export without complying with U.S. export control laws and regulations, including proper export licensing, documentation or authorization, is strictly prohibited and may result in civil penalties and/or constitute a federal crime. 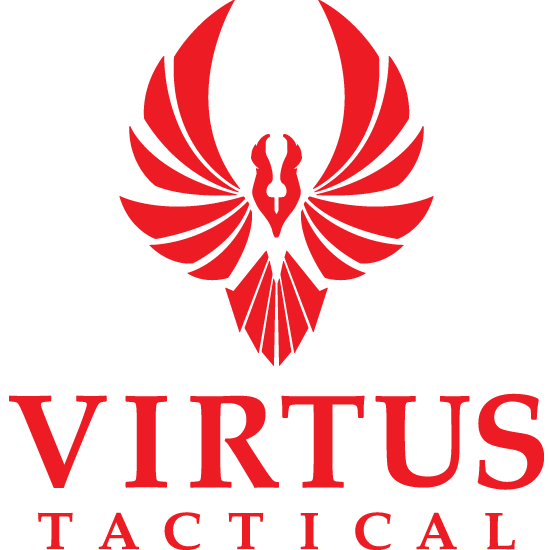 Virtus Tactical, LLC. will not engage in any transaction that requires the illegal export of any products and will not assist directly or indirectly with the illegal export or re-export of any products. An accurate Automated Export System (AES) filing must be made, whether or not the exportation requires a license. International Traffic in Arms Regulations (ITAR): Some of the item(s) on this website are subject to the International Traffic in Arms Regulations (ITAR), and export is strictly prohibited without authorization or a license issued by the U.S. Department of State's Directorate of Defense Trade Controls. By proceeding with a transaction to purchase any ITAR restricted item(s), the Customer certifies that (i) the purchase does not require Virtus Tactical, LLC. to export such items, unless Virtus Tactical, LLC. is aware of the export and has obtained the appropriate U.S. Government authorization; (ii) the Customer does not intend to export such items after receipt from Virtus Tactical, LLC. without the appropriate U.S. Government export authorization; (iii) the Customer does not intend to export, transfer, sell, or furnish the item to any foreign person, whether abroad or in the U.S., including any Foreign Embassy in the U.S., without the appropriate U.S. Government export authorization; (iv) the Customer understands that a foreign person under the ITAR § 120.16 means "any natural person who is not a lawful permanent resident as defined by 8 U.S.C. § 1101(a)(20) or who is not a protected individual as defined by 8 U.S.C. § 1324b(a)(3)," and can mean "any foreign corporation, business association, trust, society, or any other entity or group that is not incorporated or organized to do business in the U.S., as well as international organizations, foreign governments, and any agency or subdivisions of government (e.g. diplomatic missions)" (See ITAR § 120.16); (v) the Customer is a U.S. Person as defined by ITAR § 120.15, meaning the Customer is a lawful permanent resident of the U.S., as defined by 8 U.S.C. § 1101(a)(20), or is a protected individual as defined by 8 U.S.C. § 1324b(a)(3), or is a "corporation, business association, partnership, society, trust, or any other entity, organization or group that is incorporated to do business in the U.S., or is a governmental (federal, state, or local) entity" (See ITAR § 120.15). Export Administration Regulations (EAR): Some of the item(s) on this website are subject to the Export Administration Regulations (EAR), and export may be restricted by the U.S. Department of Commerce's Bureau of Industry and Security. By proceeding with a transaction to purchase any restricted item(s), the Customer certifies that (i) the purchase does not require Virtus Tactical, LLC. to export such items, unless Virtus Tactical, LLC. is aware of the export and has obtained the appropriate U.S. Government authorization; (ii) the Customer does not intend to export such items after receipt from OpticsPlanet, Inc. without the appropriate U.S. Government export authorization. (1) Export of some Virtus Tactical, LLC. products is strictly prohibited without a valid export license issued by the U.S. Department of State, in accordance with International Traffic in Arms Regulations (ITAR) (22 C.F.R. 120-130) or a valid export license issued by the U.S. Department of Commerce, in accordance with the Export Administration Regulations (EAR) (15 C.F.R. 730-774). (2) U.S. law prohibits the sale, transfer, or export of items to certain restricted parties, destinations, and embargoed countries, as identified on lists maintained by the U.S. Department of State, the U.S. Department of Commerce, and the U.S. Department of Treasury. It is the responsibility of the Customer to be aware of these lists, which can be found at the following U.S. Government websites. By proceeding with any transaction, the Customer certifies that the Customer will not engage in any unauthorized transaction involving the export of OpticsPlanet products to any restricted parties or destinations. By proceeding with a transaction to purchase any items from Virtus Tactical, LLC., the Customer certifies that it will comply with all requirements imposed by all applicable laws, regulations and administrative policies. Virtus Tactical, LLC. reserves the right to inquire into the end user, end use, and country of ultimate destination of any product ordered on this website. Export control laws and regulations are complex. Any summaries of such laws and regulations provided by Virtus Tactical, LLC. herein are not comprehensive and are not to be taken as legal advice or counseling.